Posted by Joe Anderson in Economy and the Public Square, Orthodoxy with 0 comments. Recently a friend of mine sent me a link to an Associated Press article about Pope Francis’ recent message for Lent. 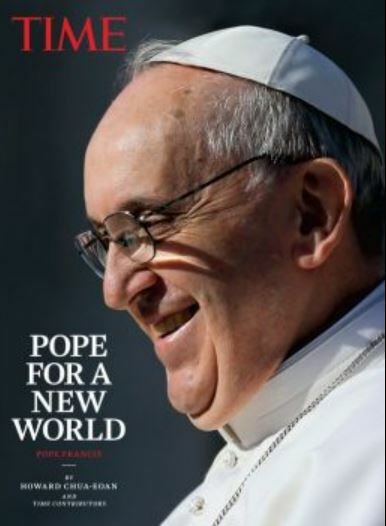 The link is here and the article is on a relative basis not bad for something written about Pope Francis. However, I then read Pope Francis’ own words and was reminded again of the inadvisability of reading about Pope Francis when it is so easy to read Pope Francis! The problem with reading about Pope Francis in the press lies in the reality that everything written there is presented through an ideological political left-right prism. This prism through which we tend to view almost every event and circumstance in America (and the West) can only warp the words of our Holy Father who calls each of us to re-examine the way we live our lives both as individuals and as members of society. Do I spend each dollar thoughtfully, with the full realization that one dollar spent well is very possibly more effective than my vote in a national election? o Businesses run by folks who work hard, expect their employees to work hard and seek to treat all their constituents (managers, owners or shareholders, suppliers, employees, customers) with a balanced fairness. o Businesses whose practices demonstrate their recognition of the equal dignity of all participants in the economy (and of those at the margins of or largely excluded from the economy). o Businesses whose focus is to serve society by providing quality goods and services. o Businesses that avoid the temptation to amass economic power. o Business who let their work be their work and do not seek to use their economic power to bring about various social changes, particularly those detrimental to society (i.e. donations and other influence peddling aimed at destruction of life, destruction of marriage, destruction of freedom). o Businesses willing to take an economic hit in order to better care for their employees. o Businesses willing to take an economic hit in order to employ more employees (perhaps at the cost of “efficiency”). o Businesses that seek to understand and minimize any detrimental impact their work may have on the environment. · Do I realize that until I am willing to “vote” with my dollars in support of this kind of business then no political vote will relieve me of this responsibility and no political top-down solution will effect positive change? o Do I embrace BOTH this economic freedom and this economic responsibility that God has given me? o Do I reject the temptation to embrace my freedom while delegating my responsibility to others or (worse) to some corporate or government authority. · Am I willing when necessary to give my dollars away freely to those whose needs are immediate and real? o Do I understand that no government program can free me of my responsibility to love and care for my brother? · Am I willing to consume less because “voting” with my dollars will almost certainly mean that my well-spent dollars will not go as far as my dollars do when I simply seek to maximize my buying power? o Do I express my frustration toward the cult of the big and powerful by seeking to become big and powerful? · Is financial security a driving force in my economic life? o Do I seek to save/plan for MY future needs and MY family’s future (illness, job loss, retirement, children’s education) to the exclusion of generously and sacrificially helping the poor with their imminent needs? While I am grateful the press has taken such a fancy to Pope Francis, I regret their continued attempts to relieve the great majority of us of our individual responsibility to embrace the challenges our good Pope continues to provide to us. The Pope’s words are meaningless if we view them as being directed to some corporate body rather than being directed to us as individuals (and as individual participants in those same corporate bodies).